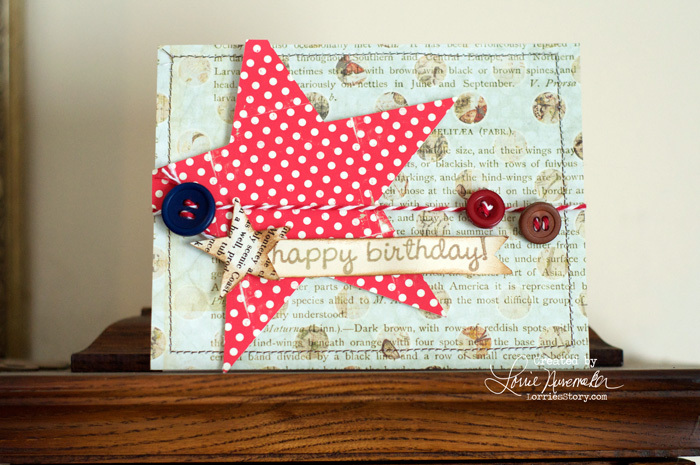 I had this beautiful red star on my craft table left over from another project. I had to find it a home. I came up with this simple Birthday Card. The background papers are by Pink Paislee, the Red Polka Dot paper is from a digital kit.